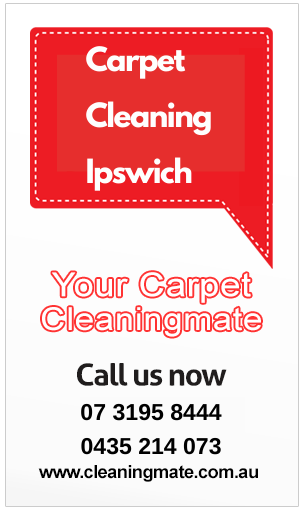 Cleaning Mate is able to provide you with a full range of carpet cleaning, upholstery and pest control services in Ipswich.Cleaning Mate is IICRC certified, police checked and covered by insurance. You can enquire about a no obligation free quote, by calling our office on 1361 9988 or by visiting our website at www.cleaningmate.com.au, and submitting an online quote request. One of our friendly staff will then discuss your service requirements with you. This is a great time to let them know any specific needs you or your family has for your selected service. From there your Cleaning Mate will provide a quote for your consideration.You can then easily book over the phone or via email, with one of our friendly staff. Once one of our highly trained technicians has arrived at your property, they will discuss with you any possible price variations from the quote before they start, and provide you with a final price. If you are not able to be present at the time of the job and circumstances change or you need us to pay attention to a particular aspect of your home, please leave a note on the kitchen table - our technician will check for these at the beginning of each clean. Most landlords require a vacating tenant to organise an exit carpet clean and pest control. This is to ensure that the carpets in the house are fresh and clean for the next tenants and there are no nasty creepy crawlies around. The exit carpet clean and and pest control should be the very last thing done when exiting the house. All furniture should have already been removed from the house and the house bond cleaning completed. This is to avoid anybody walking on the carpets and dirtying them once they have been cleaned. For a home owner you can order a once off deep and thorough clean. These cleans take longer than a normal maintenance clean and are called Spring Cleans (although they can be done in any season!). This is a thorough clean of the entire house to ensure it is ship shape for new tenants.